C’mon, you know how it is in Hollywood. Two famous people can’t step out in public without romance rumors running rampant, even if they’re far from the truth. Not to mention the fact that celebrity love affairs can tend to be fleeting, and if aforementioned romance rumors turn out to be fact, the celebs spotted cozying up are usually done before paparazzi pics even hit the internet. 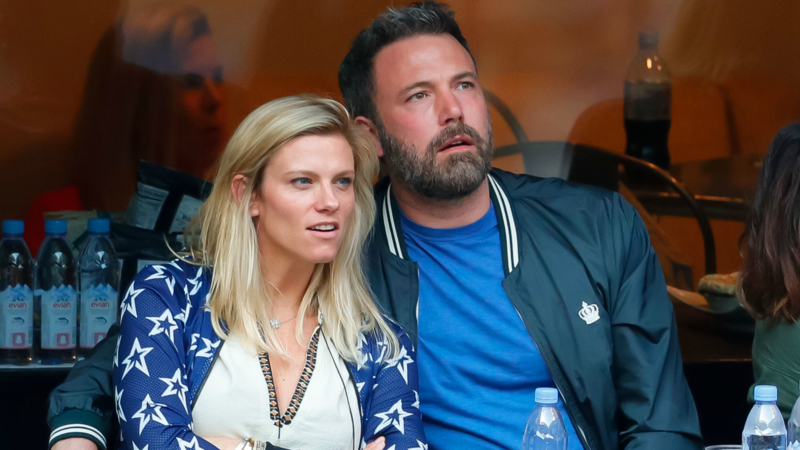 But both these scenarios appear to be untrue in the case of Ben Affleck and Lindsay Shookus. Their romance rumors are completely based in reality, and their relationship totally seems like it’s more than just a rebound fling. They went public back in July 2017, but they’ve reportedly been together a lot longer than that. And while we still haven’t quite made peace with the fact that Affleck and Jennifer Garner are done for good, we have to admit we kinda like Shookus. Here’s a little to know about her. Shookus shares a daughter with her ex-husband, Kevin Miller, whom she met when they worked together on Saturday Night Live in 2002. At the time, she was an assistant producer and Miller was a writers’ assistant. Shookus has stayed on at SNL, while Miller now works on Late Night with Seth Myers. Shookus has risen through the ranks in the 15 years she’s worked on the show, and she’s now the producer who oversees casting, meaning she has a heavy hand in how the show changes and develops. She’s still not Jennifer Garner, but if this is our reality now, we’ll do our best to accept it. We’re just digging the fact that Affleck isn’t looking as puffy and sad lately as he did after he and Garner announced their split. If he’s happy, we’re happy.